Karith Gingrow is the owner of Nimble Craft which is a small creative business started 2 years ago with the idea of bringing the love of creativity to young minds. Attaining her degree in Graphic Design from the Philadelphia Art Institute she currently works from home doing commissioned illustrations, wood burning and diy projects for all ages and levels of experience. Besides her creative endeavors she is raising three children with her loving husband in Springfield, Pennsylvania. Ruark started working with children in 2005 at Gymboree Play and Music NYC and spent the next several years honing his baby whispering skills with companies such as Kidville NYC, Little Maestros, Songs of Love Foundation, Striking Viking Story Pirates, La Palestra Kids, the YMCA and more. He started his own company, Roots With Ruark, in 2011 and has been successfully running his own brand music classes, parties and events for the 0-5 crowd ever since. A Roots With Ruark music class aims to provide you and your little one with an experience that will be the highlight of your week, where your little one will learn to connect their voice and body to their favorite songs, build confidence through repetition and create a deep and lasting love of music. We’ll plant a song and watch it grow. tegan lives in francisville and is a yoga teacher (ryt) and mother of a toddler with a previous 15 year career in food systems with a focus on food justice. tegan is founder of ten moons wellness (@tenmoonswellness) where she offers movement based trainings and pelvic floor support in addition to musings, information and ideas on cooking for and feeding families. tegan has studied with alex auder (magu yoga) and is a graduate of the wakeup! yoga 250hr teacher training, pranakriya prenatal training, the birthfit postpartum strength series and leslie howards pelvic floor yogatm training program. she has also trained as a doula, postpartum doula and lactation counselor. Marissa is a performer, teaching artist, and choreographer in the Philly area. She holds a B.A. in both Drama and Psychology from Washington University in St. Louis, with a minor in Ballet. Marissa began dancing at the age of 3 and loves to move! She enjoys teaching theatre, dance, and creative movement to students of all ages. Martina is a Philadelphia native from the area of Germantown/Mt. Airy. Her love of books, reading and traveling inspires her to share them with others. She attended NYU for Creative Writing and Education and for years she worked in early childhood literacy with the Free Library of Philadelphia's Books Aloud program. She manages Baby Wordplay Fairmount and coordinates Baby Wordplay Pop-ups in neighborhoods around Philadelphia. Leila began practicing yoga over 10 years ago as a runner looking for a way to balance the stress city fitness was having on her body. She was a ‘home yogi’ for the most part, until she began practicing with the diverse teachers and styles at Dhyana Yoga in Philadelphia. After her first Kundalini class, Leila decided to dive into her teacher training. In the years since graduating from her 200hour teacher training in 2008, Leila has continued her education with specialized training in 50hour Dynamic Flow, Pre-Natal and Children’s Yoga. Leila is currently working towards her 500hour advanced teacher training, and has taught numerous workshops over the years including Yoga for Runners, Restorative Yoga, and Pre Natal. When she is not teaching classes, Leila can be found around town with her two sons, Wyatt (7) and Henry (5 months), playing basketball at Lemon Hill or splashing at Sister Cities Park. She has lived in the N Fairmount/Brewerytown area for 12 plus years and is very excited to be a part of the Kith and Kin community! Yenni is the founder and creative director of Bilingual Butterflies LLC. Yenni started the program when she noticed the need for quality Spanish programs within the Philadelphia community. 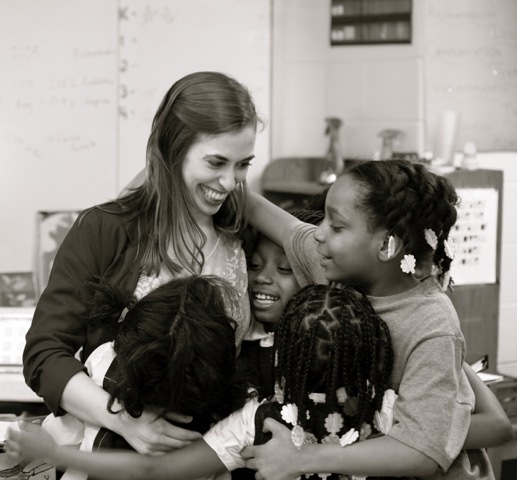 She has since taught in many schools and daycares including The School District of Philadelphia. During her career she has worked with many children ranging anywhere from newborn to 13 years old. During her free time, Yenni volunteers with many non-profit organizations, teaching Spanish as well as English as a second language. Señora Yenni is excited to bring this Spanish program to Kith + Kin and looks forward to being part of the Brewerytown neighborhood! Kelly is an actor and teaching artist based in Philadelphia. She holds a BA in Acting from the Liverpool Institute for Performing Arts, with a focus on movement techniques, and an M.A. in Musical Theatre Performance from the Royal Conservatoire of Scotland. She has taught at several summer camps including The Arden Theatre and Delaware Theatre Company, and has led residencies for youth drama in Hamilton, Bermuda. Kelly also coaches acting and gymnastics, and is passionate about teaching young children creative movement!